Taking your child to the dentist or to a general physician can be a tricky and fussy ride if the child is feeling scared. 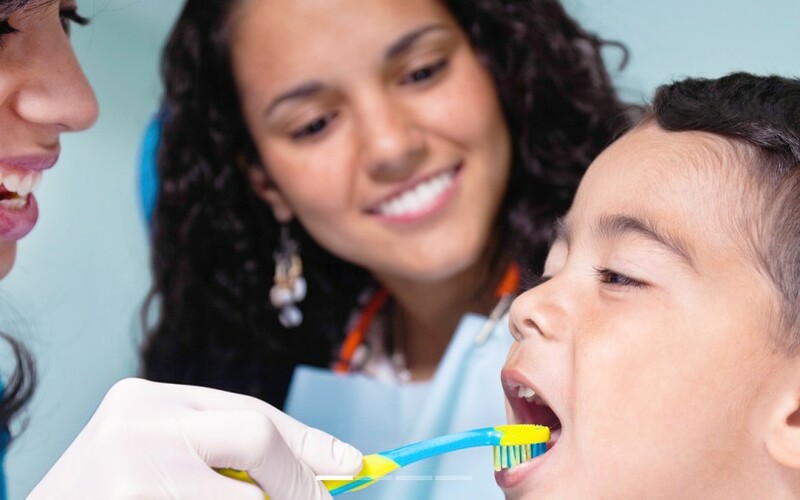 However, if you handle it correctly then chances are that your child will be excited for the next visit and would even insist on paying an early visit to the dentist. Usually, when children start taking dental appointments, there are regular checkups that are required to ensure the proper growth of the teeth. The erupting teeth in these stages are very sensitive. Therefore, they need constant care and vigilance. But then again, unless the child is willing and comfortable, the whole process becomes a difficult journey! Now, the question is what you can expect during the first few visits. This is fairly simple. The dentist and the parents both want what is best for the child. The first few visits are kept casual. There is small talk and the doctor prefers to get to know the child at this stage. They talk and exchange a few questions. It is recommended that the dentist can tell the child about how they can maintain their oral hygiene and keep their mouth clean. During such visits, the mouth and teeth are properly inspected and checked and it there are any stains or food particles that need to be cleaned. If there are cavities or tooth decay, then there is a need for further actions and scheduling of immediate appointments. Visiting a doctor for the young ones is difficult as they either expect getting a huge needle or loads of sour medicine. Many dentists have developed an attractive clinic environment for such children. To captivate their attention, they have toys and gaming consoles in the waiting area. These offices are filled with bright and vibrant colors with pictures of cartoon characters and an amazing environment to let the kids play. You have to speak with your child and if you haven’t, then prepare them before the visit and address this issue as it is the best thing you can do to keep their nerves calm. Oral hygiene is very important factor of child’s physical development. Try to educate them about the proper hygiene, eating habits and proper diet. It is important that your kids consume full and healthy meals thrice a day to help them grow. Children need their dental visits as soon as they start to grow teeth. Some children grow teeth at a slow pace while other relatively has a faster growth. Discuss the dental issues with your doctor in detail; he would guide you to choose the best way to approach these matters. Try to keep a steady hand and a calm nerve when you communicate with your child. Address to their questions and fears and make dental appointments a fun and regular checkup for them.